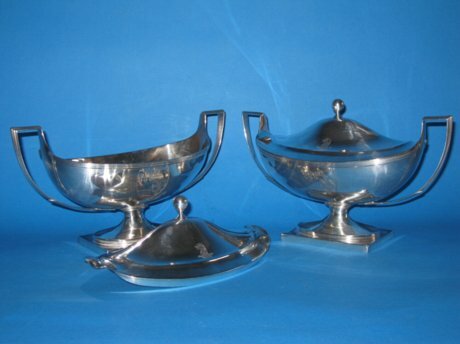 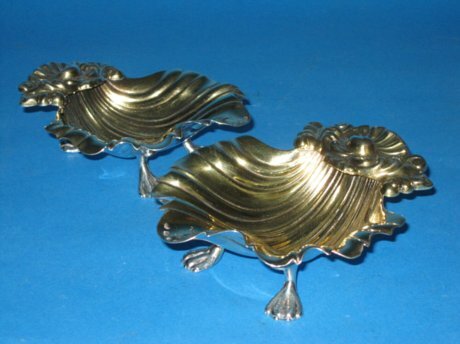 Pair of cast Silver & Gilt Butter Shells. 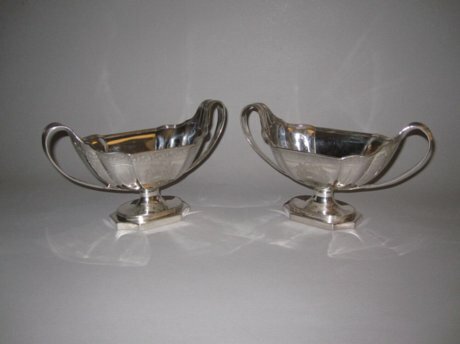 Richard GAINSFORD, Sheffield 1829. 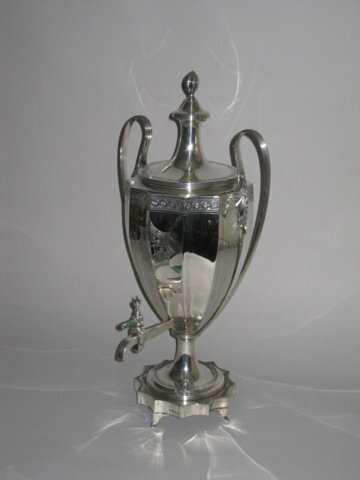 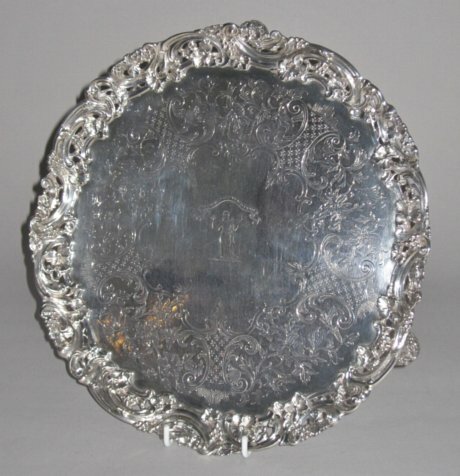 A 19th Century Silver Salver. 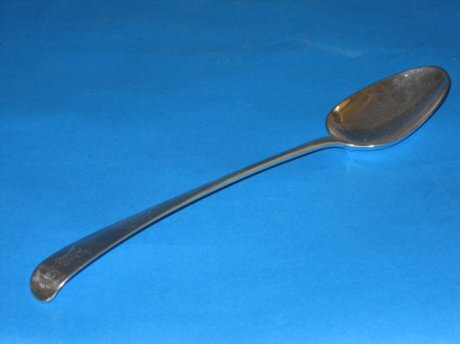 Robert Hennell, London 1846. 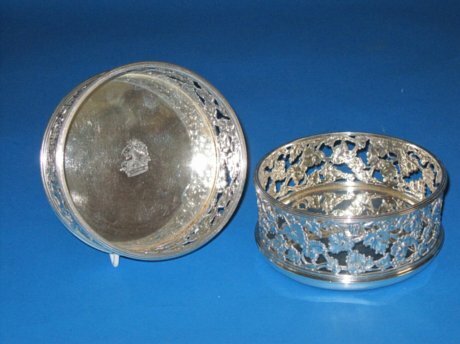 Silver Wine Coasters by Benjamin Smith, London 1815.